"Star Wars Episode 1 The Phantom Menace," captivated global audiences when it first came out in 1999. The Force is back. But this time in 3D giving the fi lm an immersive dimension and turning it into an altogether richer cinematic experience. 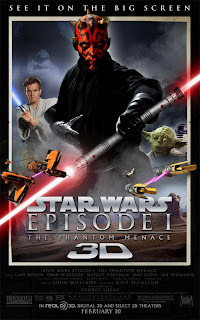 It's an experience that will inevitably be thrilling: watching "Star Wars Episode 1 The Phantom Menace" 3D on the big screen. The first Star Wars movie to be presented in spectacular 3D, all the exciting elements of the original remain, with added dimension and nuance. George Lucas, the pioneering and brilliant filmmaker behind Star Wars, has overseen the process with his renowned attention to detail. John Knoll, the visual effects supervisor for Lucas film's Industrial Light & Magic (ILM) was responsible for the actual conversion. He served as visual effects supervisor on all three of the Star Wars prequels. The remaining five Star Wars films will be converted to 3D over the coming years. "I think 3D makes the film more immersive," says Knoll. "The extra dimension makes the audience feel like they are more present in the Star Wars universe. I wanted to make sure that we were not turning this into a gimmick. It's something that should feel natural and not cause eye-strain or cheapen the product so I was not looking for places to poke stuff out of the camera. I went for naturalistic stereo as though the movie had actually been shot in stereo. I think the film looks better than it ever looked before." "Star Wars Episode 1 The Phantom Menace" was released in 1999. The movie starred Liam Neeson as Qui-Gon Jinn and Ewan McGregor as his apprentice Obi- Wan-Kenobi, a determined young Jedi Knight. Natalie Portman played Queen Amidala. Jake Lloyd starred as Anakin Skywalker. It is a fantastically exciting adventure set 32 years before the events of the original. The film follows Anakin's journey as he pursues his dreams and confronts his fears in the midst of a galaxy in turmoil. In between the production of Episode II (2002) and Episode III (2005), Lucas first began exploring the idea of presenting the entire Star Wars saga as 3D theatrical releases. 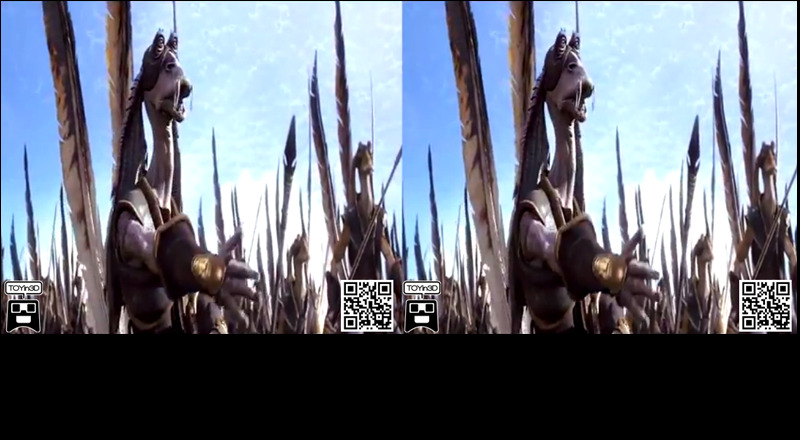 Active 3D conversion work on "Star Wars: Episode I The Phantom Menace" began in 2010. ""I'm really excited about the new big screen release of the fi lm. We've worked very hard to get the best quality 3D we could. The big screen experience is so much better than watching it on television. It was designed to put you in the environment and surround you with the sound and the picture. There is nothing like it. I'm so glad that we were able to bring this whole experience to the next generation. This will be the third generation that will be able to see it on the big screen and when you're young, it's an overwhelming and powerful event," relates Lucas on the 3D conversion of the movie. Lucas recalls that "Star Wars: Episode I The Phantom Menace" underwent a painstaking frame by- frame conversion from a 2D film to a 3D experience thanks to the efforts of Prime Focus, a global visual entertainment services company, and ILM, the preeminent visual effects company that has produced the visuals for all the Star Wars movies.